Seven months into her pregnancy, Rachel discovers that her husband is in love with another woman. The fact that this woman has a ‘neck as long as an arm and a nose as long as a thumb’ is no consolation. Food sometimes is, though, since Rachel is a cookery writer, and between trying to win Mark back and wishing him dead, she offers us some of her favourite recipes. Heartburn is a roller coaster of love, betrayal, loss and - most satisfyingly - revenge. 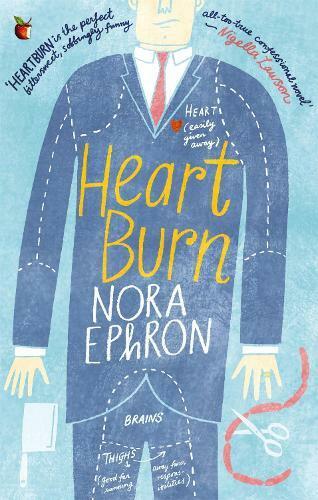 The autobiographical novel by Nora Ephron, Oscar-nominated screenwriter (When Harry Met Sally) and successful director (Sleepless in Seattle), is a bittersweet book about love and loss.